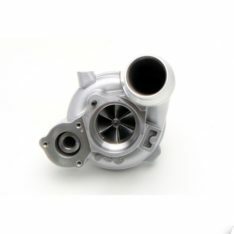 Featuring the newly developed, self contained Vortech V3 supercharger unit in Si trim which is capable of up to 775hp. 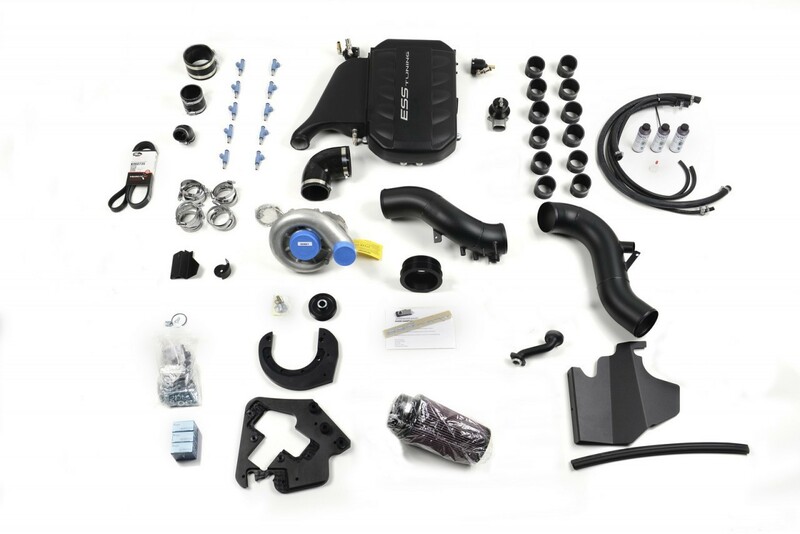 The S85 VT1-625 supercharger system comes with an especially developed cast aluminium manifold assembly. The VT1 non-intercooled configuration uses the same cast aluminium manifold assembly as the VT2 systems and is easily upgradeable. Contact us for details. The system maintains all OBD-II functions and it is backed by a comprehensive 2 year, unlimited mileage warranty program. 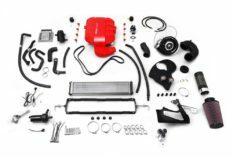 The system installs in 10-12 hours using normal hand tools and no irreversible modifications to the car is necessary. 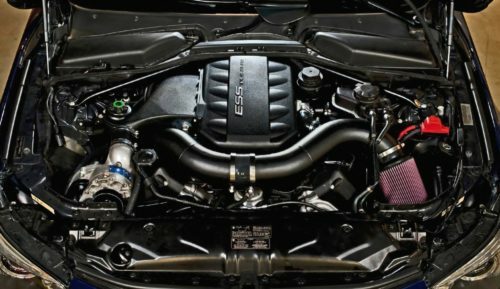 *The ESS E-Flash OBD2 cable option allows the end user to upload the supercharger ECU software directly to the car from any PC running Windows XP or newer. The system also includes full diagnostic and code clearing capability. Any future ESS software updates can be received by email and loaded directly to the car. The stock ECU software will be saved and can easily be restored in the future. 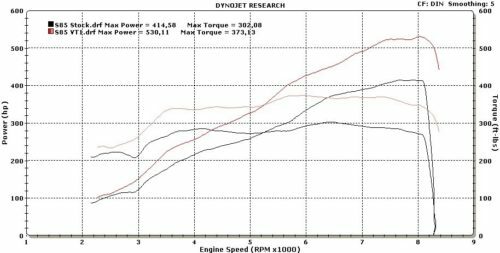 VT1-625 : Non-intercooled, 5.5PSI system compatible with SMG and manual cars 91AKI/95RON or above required. -Uni-belt drive system with additional OEM quality rollers. -10 larger Bosch Motorsport fuel injectors (Spec 1). 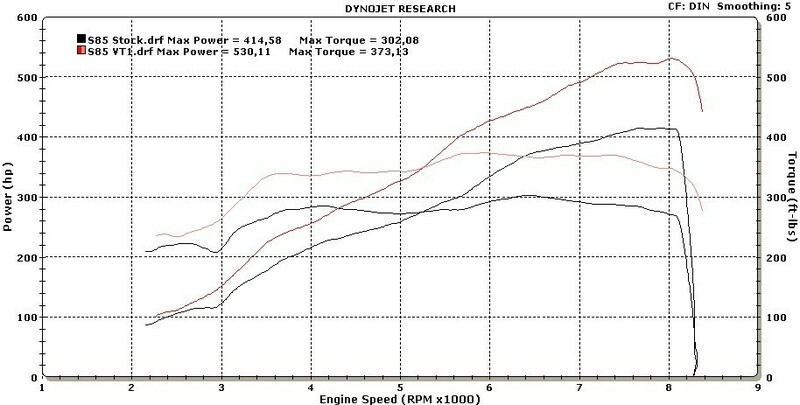 -Perfectly optimized, dyno tweaked MSS65 ECU software with removed top speed governor, calibrated for Spec 1 injectors. -CNC hard anodized brackets and hardware. -K&N high flow air filter. -High temperature casted plastic intake system for SC. 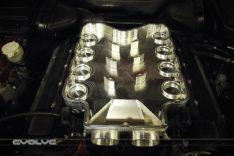 -Cast aluminium, hi-flow ESS intake manifold. -High temperature, custom molded silicone hoses with clamps throughout system. 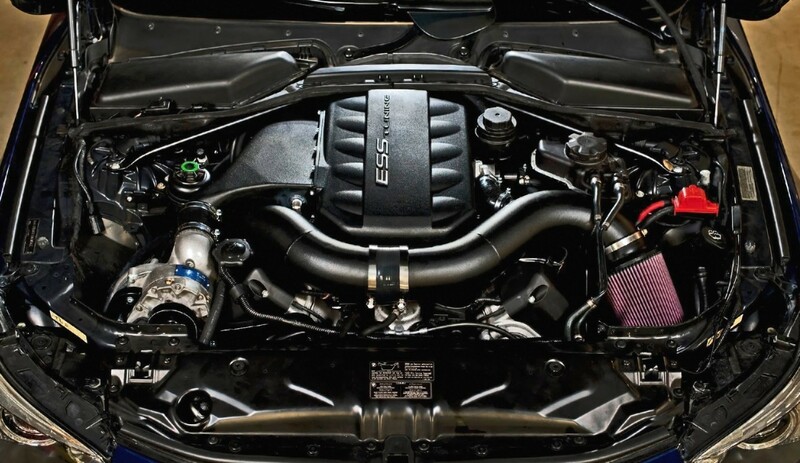 -ESS oil breather assembly designed for boost. ESS SMG performance software is recommended with this product.